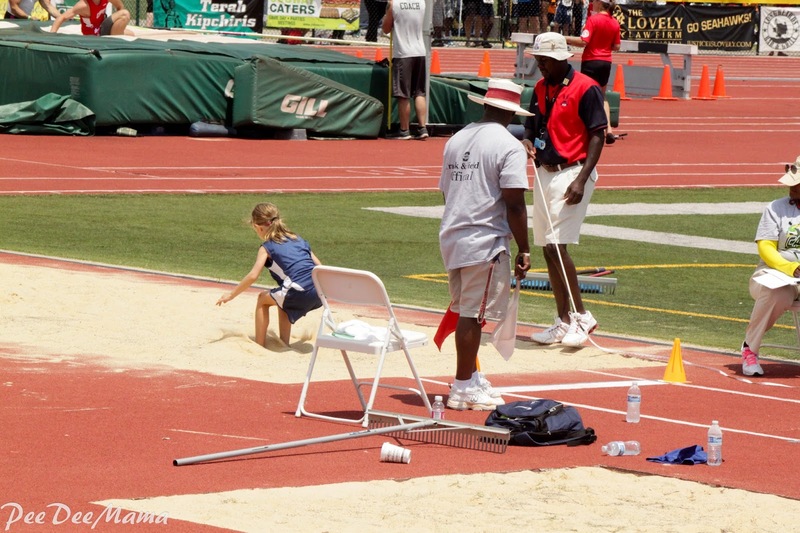 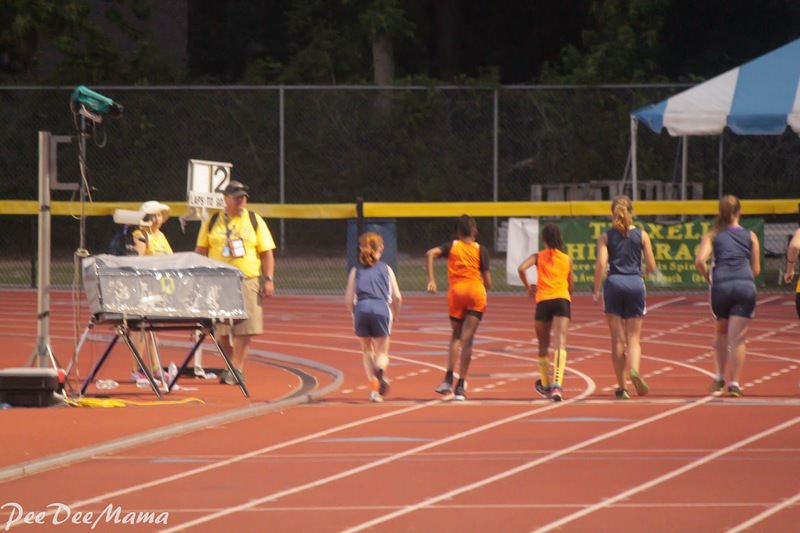 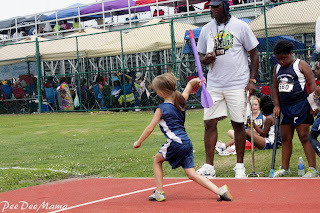 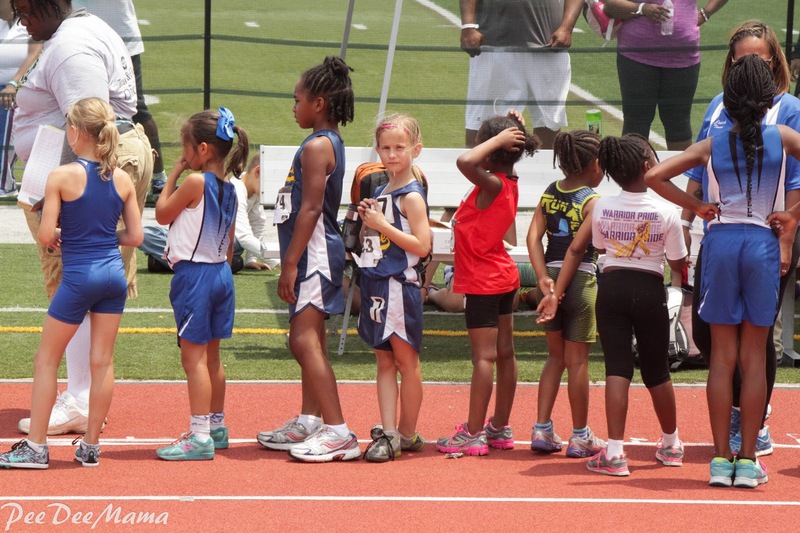 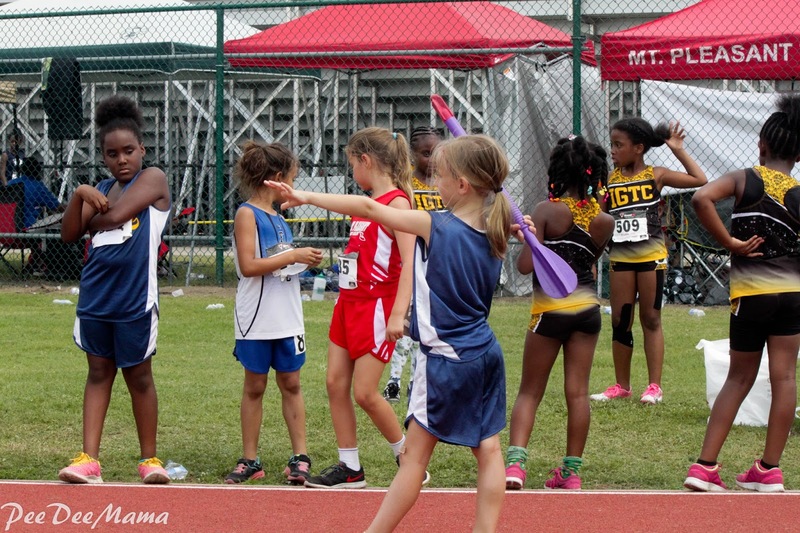 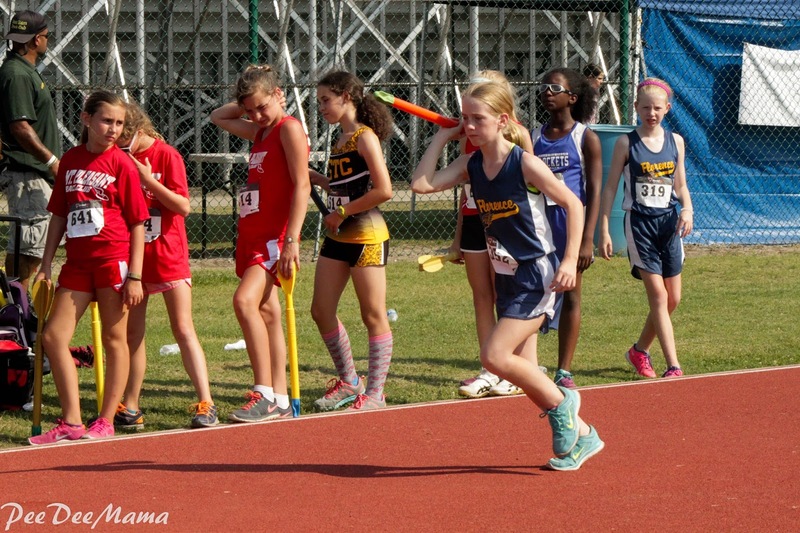 Tales of a Pee Dee Mama: She's a Champion! 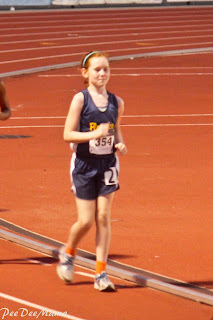 Little did I expect that Little Red would become a state champion AND a regional champion in the 1500m race walk! 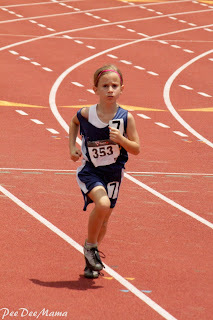 Yes, she came in first place in both the state and regional meets. 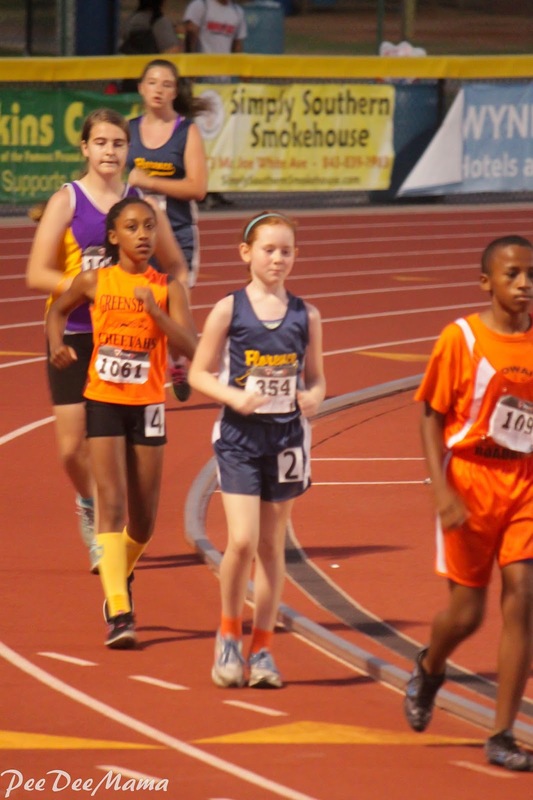 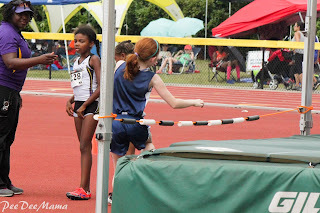 She even got to compete at the National Jr. Olympic meet and had the 5th fastest time (10 minutes 20 seconds) in the nation for her age group. 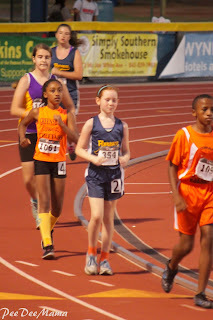 Race walking is much more difficult than people think. 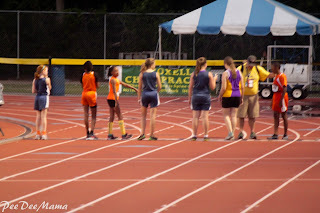 There are a lot of technical issues that racers have to follow or they can be disqualified. 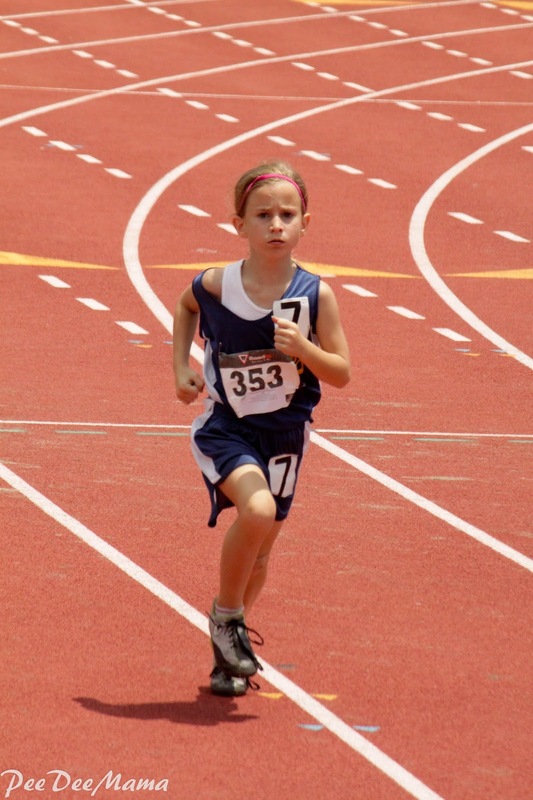 The knee has to be straight when you put your foot down and one foot has to be on the ground at all times. Little Red worked very hard at practices to get her technique right and to work on her speed and endurance. 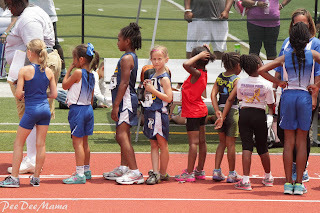 Little Red, Soccer Girl, and Sassy all had 3 events that they practiced. 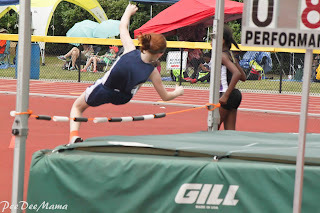 Soccer Girl only competed in 2 of her events in most of the meets. 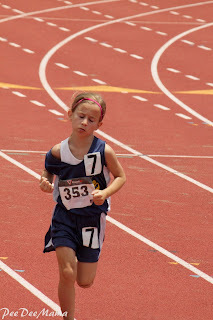 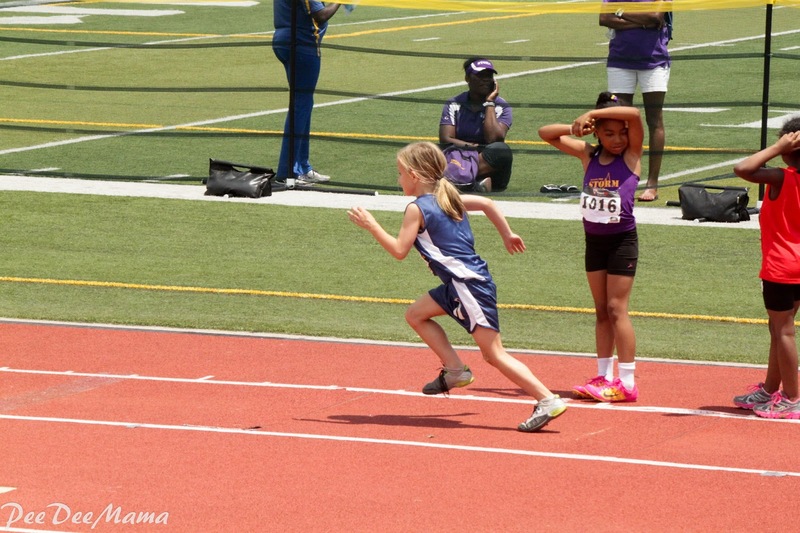 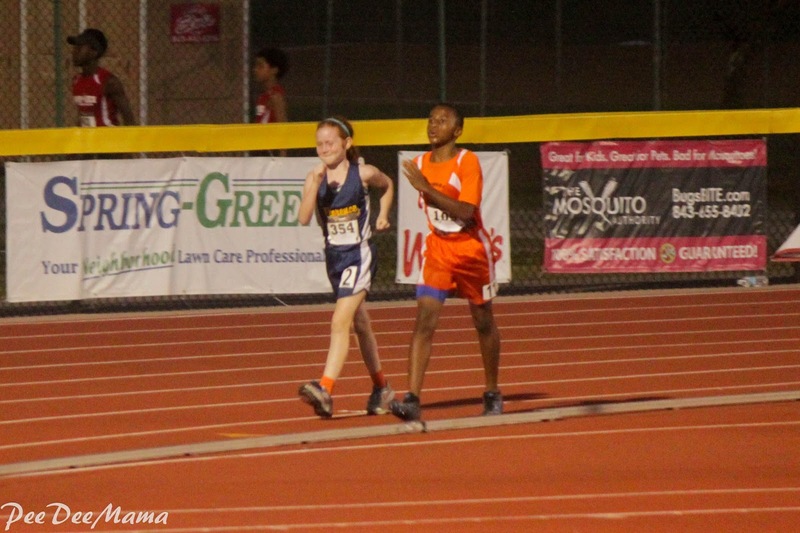 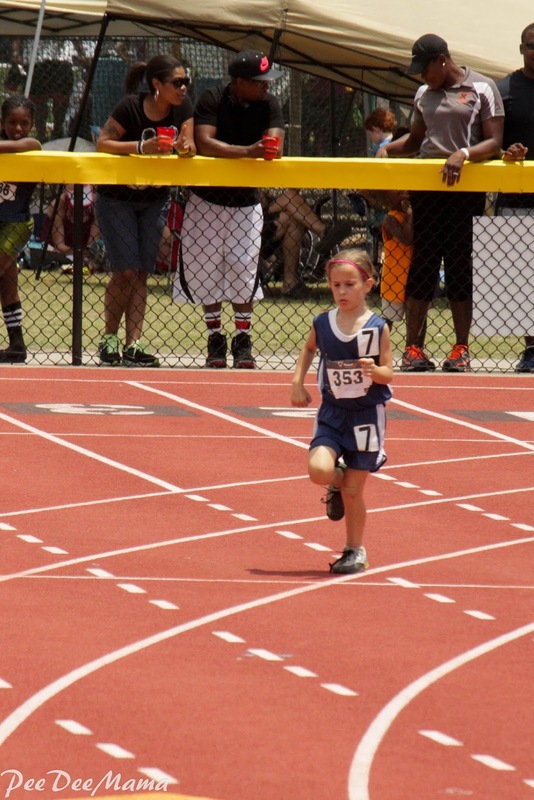 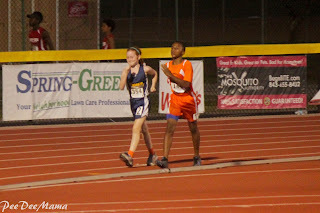 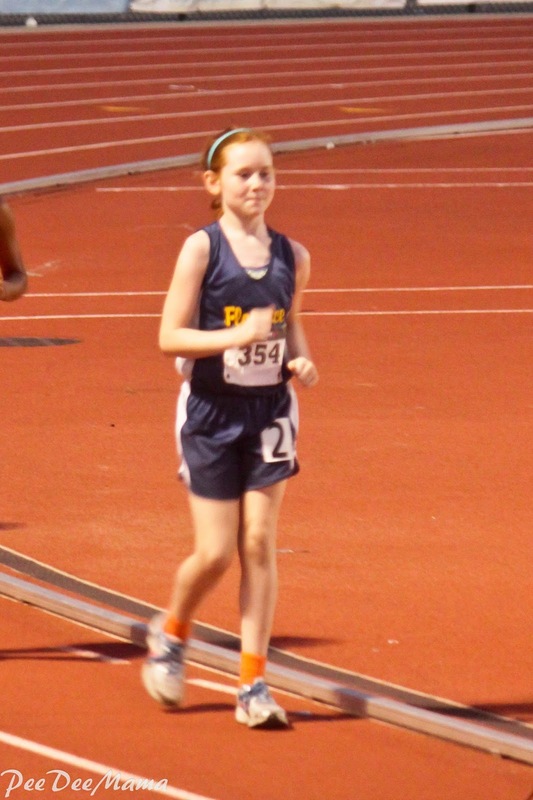 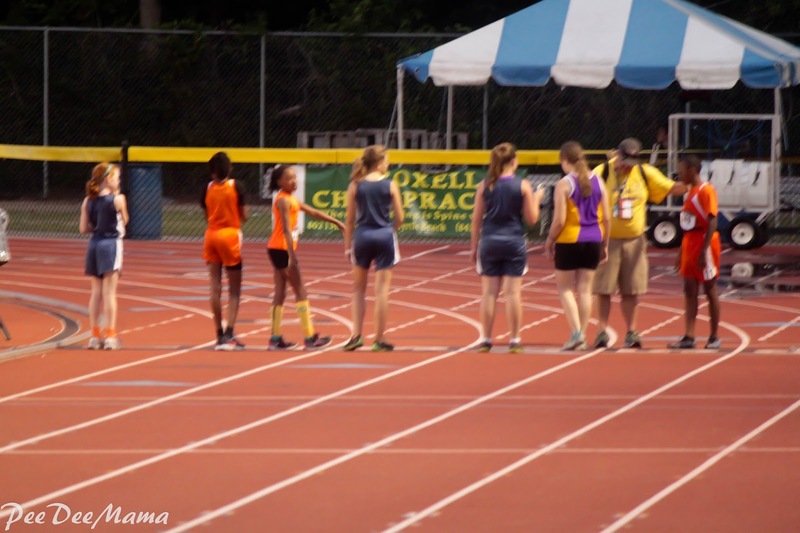 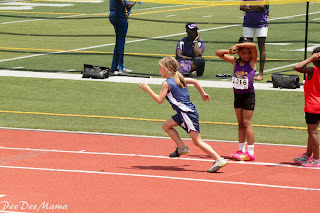 She decided not to compete in the 400m since her knee really bothers her when she runs. 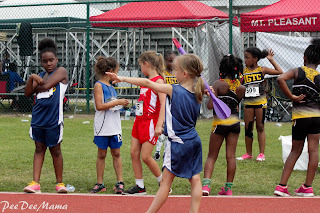 Here are some highlights of their events from one of the meets. 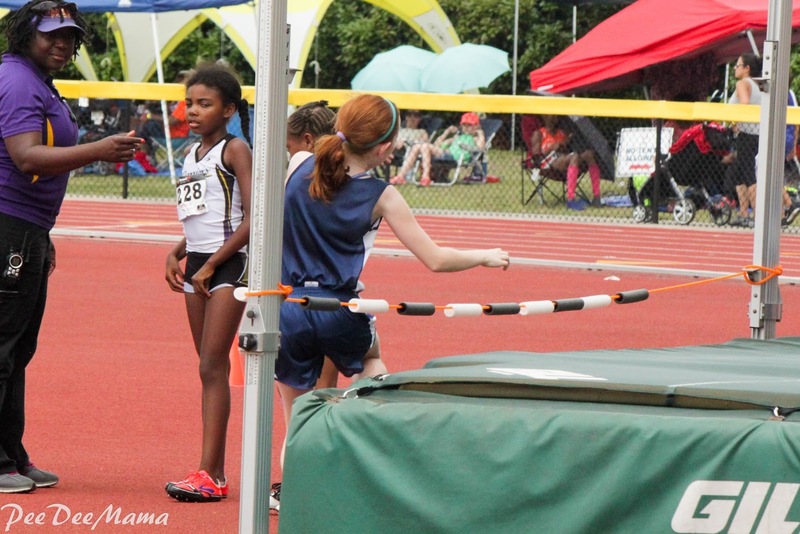 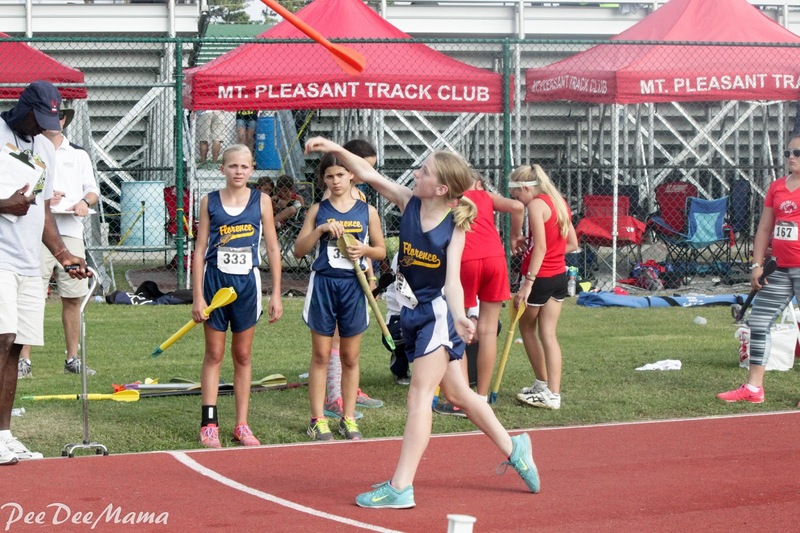 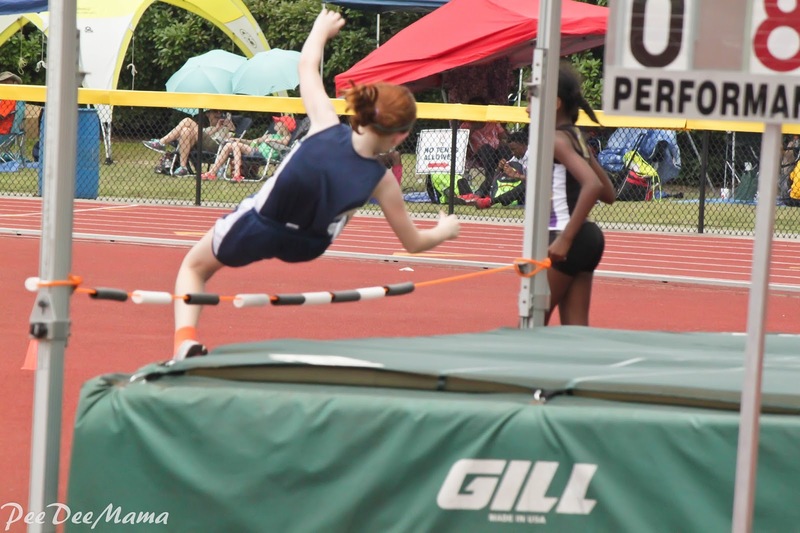 I have no pictures of Soccer Girl doing high jump since she was jumping at the same time that Sassy had javelin.